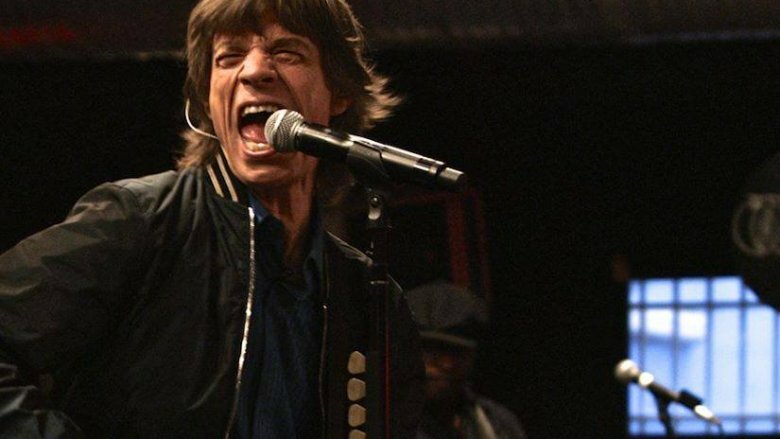 When it comes to the icons of rock, they don't get much bigger than Mick Jagger. 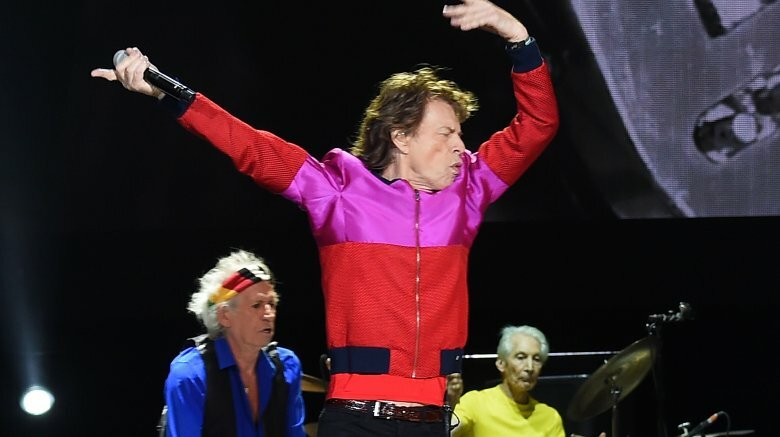 The front man for the Rolling Stones has been at the forefront of the music industry for decades, and even though he's strutted and shimmied his way well past an age when most people are content to retire to a rocking chair on the front porch and yell at the kids to get off their lawn, he's still selling out arenas and — according to Pointe — covering an estimated 12 miles of stage during every concert. 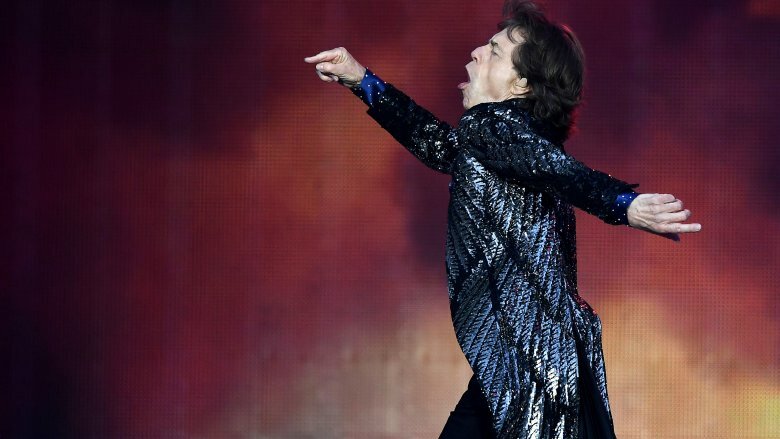 Mick Jagger has packed a lot of living into his decades, so much so that it's hard to imagine all that was done by just one man. The relatively recent re-release of the seminal Exile on Main St. gave Jagger a chance to look back on his life, and he admitted to GQ that the recordings were much more powerful than any of the photos. It was the sound that "puts you in the moment more than any picture," and even though he was talking about the technical work that went into making music, countless people can say the same thing about the songs themselves. "Get Off My Cloud." "Sympathy for the Devil." "Paint it Black." They're not just songs, they're memories — and the life story of the man who made them possible is pretty incredible. It's easy to think that someone who lives in the spotlight must be okay with it, but according to Rolling Stone, he's pretty strict when it comes to holding on to what little privacy he's still managed to maintain. He hates being interviewed, especially when the subject touches on anything but music. When he does sit down with a journalist, interviews only last for about 20 minutes — and that's not enough time to get through much besides the pleasantries. When the Irish Independent reached out to him ahead of their 2018 show in Dublin, they asked him why he didn't appear on talk shows and the like. Part of the reason was simply that he just didn't have to — he's the Stones, after all. "So why do things you don't need to?" he countered. But there's more to it, and he seems very aware of how important he is to people. "People have this obsession. They want you to be like you were in 1969. They want you to because otherwise their youth goes with you, you know. It's very selfish, but it's understandable." And why hasn't he cashed in on a memoir yet? Keith Richards' 2011 memoir, Life, was a massive hit, after all. But Jagger is unlikely to join the bestseller club. "You don't want to end up like some old footballer in a pub, talking about how he made the cross in the Cup final in 1964." Mick Jagger comes from a family that's pretty much the opposite of today's entertainment royalty. His father, Basil Jagger, was a phys-ed teacher, and his mother, Eva, was also a teacher. He was born in 1943 — and yes, the infamous "crossfire hurricane" is a reference to the Luftwaffe bombers that were strafing England at the time, notes the Irish Independent. And as Jagger himself notes, this was a time when his family didn't have phones or televisions and needed to make their own entertainment. Family members would take turns dancing, playing instruments, or — in his case — doing impressions and song-and-dance routines. He started there, and by the time he was 14, he was sneaking out of the house to hang out with local bands and learn what he could. "It was like fun. … I could see I got a good reaction." It all took off from there, even though he says his parents weren't happy when he told them he was giving up his spot at the London School of Economics for a career in music. But much, much later, he would also credit his parents with giving him a "centered upbringing" that kept him from descending completely into the self-destructive behavior that takes so many musicians. He told The Talks, "When you are young and you have a sort of close family life and stuff, it helps you to be centered for later." It was the goal of any aspiring British musician to get big in America — hopping across the pond and scoring a hit in the American charts was to Make It. It was the same for Mick Jagger and the Stones, but once he got there, he wasn't all that impressed with what he found. When the Stones went on tour in 1964, they hit the big cities, of course. 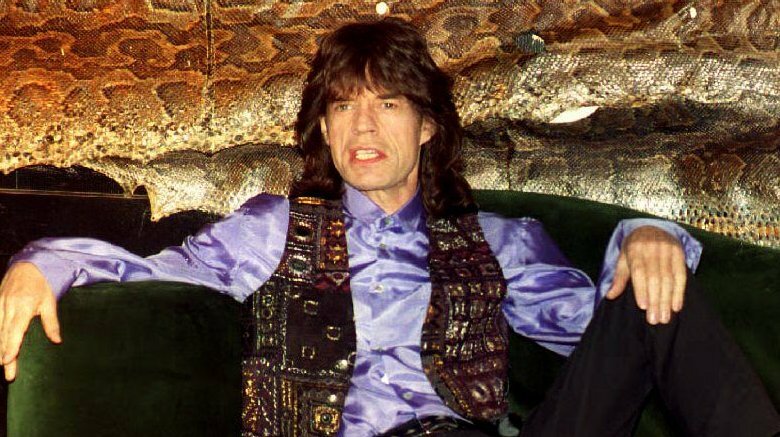 Jagger told Rolling Stone that New York City was "wonderful," and Los Angeles "was also kind of interesting." But he had less good things to say about the rest of the country: "Outside of that we found it the most repressive society, very prejudiced in every way. There was still segregation. And the attitudes were fantastically old-fashioned. Americans shocked me by their behavior and their narrow-mindedness." Still, Jagger says they always wanted to make it in America, as they were keenly aware that breaking out in the States was an even bigger deal since they weren't American themselves. Where did those songs come from? When the Irish Independent asked Jagger what the heck he was thinking when he wrote "Brown Sugar," the answer isn't what anyone expected. "Ha! Oh, I don't know. I don't know! I really don't know. And I was in Australia when I wrote it. So you can add that to the top of it, in the middle of absolutely nowhere. So I don't really know what was going through my mind." Hey, at least he's honest about it. 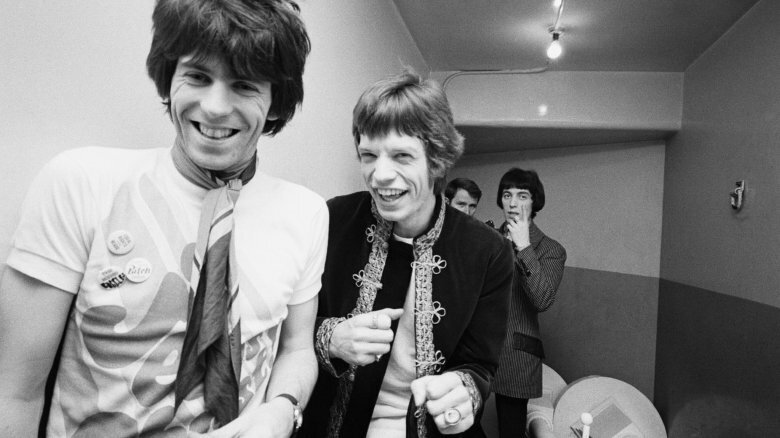 Jagger told Rolling Stone that one of the very first songs he ever wrote was the breathtaking "As Tears Go By," and the band had no intentions of ever recording it themselves. "Satisfaction" was, of course, their massive hit, and how the heck do you follow that? 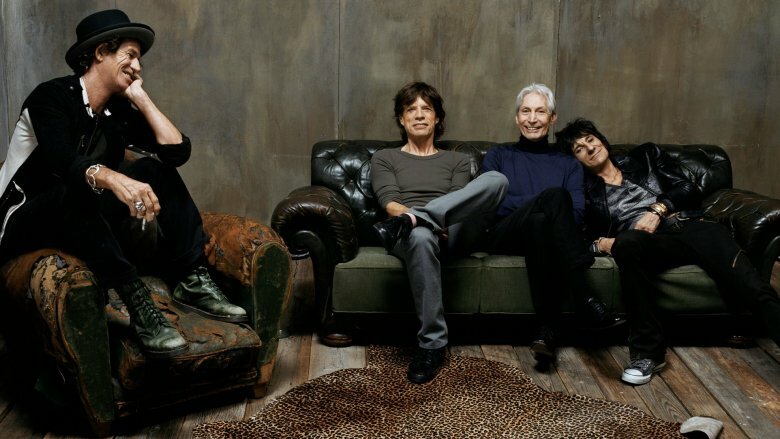 Jagger said he really didn't care about living up to that standard: "We knew [the next one] wouldn't be as good, but so what?" He wrote "Satisfaction" while sitting beside a pool in Tampa, Florida, and has said that most of his best writing is done while he's touring. "It's the best place to write because you're just totally into it. You get back from a show, have something to eat, get a few beers, and just go to your room and write. I used to write about twelve songs in two weeks on tour. It gives you lots of ideas." But some of the early ones simply came from "the imagination of teenagers." There are always those moments that define a decade, and the Stones' concert at Altamont in northern California in 1969 was one of those moments. It was a free concert announced only days before it happened, and Rolling Stone says it was the perfect storm of insanity, from how the "venue" was laid out to the fact that Hells Angels were recruited as security. By the time the day was done, four people were dead — including 18-year-old Meredith Hunter, who died at the hands of the so-called "security" — and no one could count how many were injured. According to an associate, "Jagger was very, very shattered. I cannot overemphasize how depressed and down he was with the way it turned out. … When they knew about the murder — it shook them." "Sympathy for the Devil" became the song most associated with the chaos of Altamont, and Jagger later told Rolling Stone that it took a while before he felt he could perform it again. 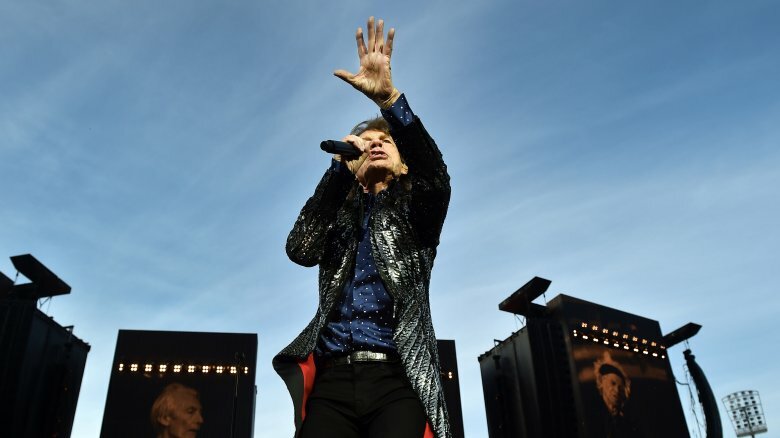 While the concert was touted in the media as a loss of innocence and the end of an era, Jagger has said he didn't feel any of that — only an awful depression over the fact it had happened at all. "That particular burden didn't weigh on my mind. It was more how awful it was to have had this experience, and how awful it was for someone to get killed, and how sad it was for his family and how dreadfully the Hells Angels behaved." In 2008, the BBC ran a documentary on the FBI, and during it, they spoke with a former agent named Mark Young. He shared something shocking: After the tragedy at Altamont, Mick Jagger condemned the actions of the Hells Angels — and incurred some serious wrath. Members of the gang vowed to get their revenge and formed a plan to kill him at his holiday home in the Hamptons. According to the Telegraph, the Hells Angels had planned to infiltrate his property from the coast to dodge Jagger's security team. They hopped on a boat and were heading to his house when a storm swept through the area. Everyone on board was dumped into the ocean, and that put an end to the attempt on his life. Young also added that Jagger had never been told about the planned assassination and how far it actually got. Law enforcement never got wind of another planned attack, and Jagger lived to play many more days. 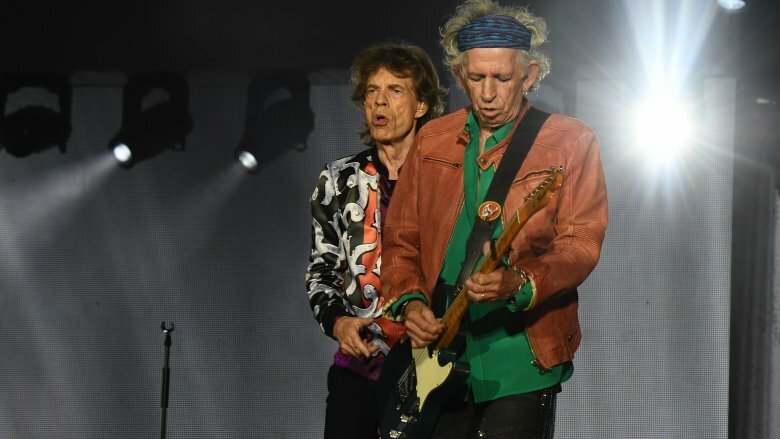 About Keith Richards, Mick Jagger told Rolling Stone simply, "I can't remember when I didn't know him," and it's certainly arguable that they've become one of the most legendary duos in music history. But it's also no secret that Keith Richards has inserted an ungodly amount of drugs into himself, and as anyone who has dealt with addiction and drug abuse knows, that can make life and relationships terribly difficult. So how have these two kept it together all these years? 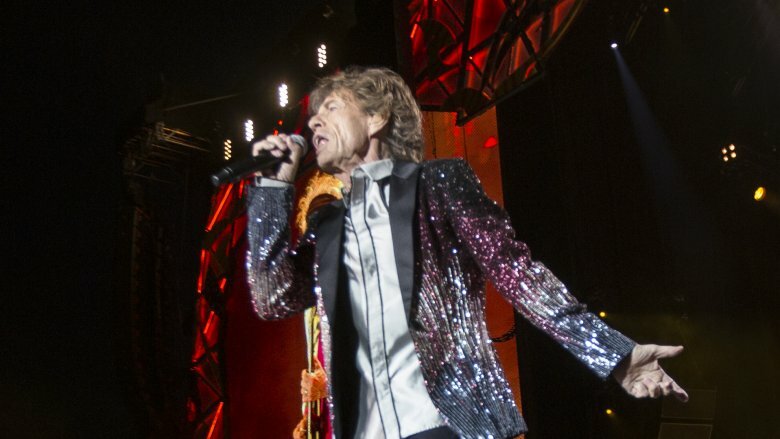 Jagger has said they've come to a sort of agreement over the years that they're just flexible when it comes to the who-does-what of the thing. But the drugs … while Jagger has said that he doesn't like talking about the drug problems of others, he has talked a little bit about how it's impacted him. "How did I handle it? Oh, with difficulty. It's never easy. I don't find it easy dealing with people with drug problems. … If you're really on some heavily addictive drug, you think about the drug and everything else is secondary. You try and make everything work, but the drug comes first." Even when he was at his worst, Jagger says Richards was still creative — it just took a long, long time to get anything accomplished. "When Keith was taking heroin, it was very difficult to work. … It affected everyone in certain ways. But I've never really talked to Keith about this stuff. So I have no idea what he feels." There's a weird story that goes around every so often about just why Jagger has a distinctive voice. 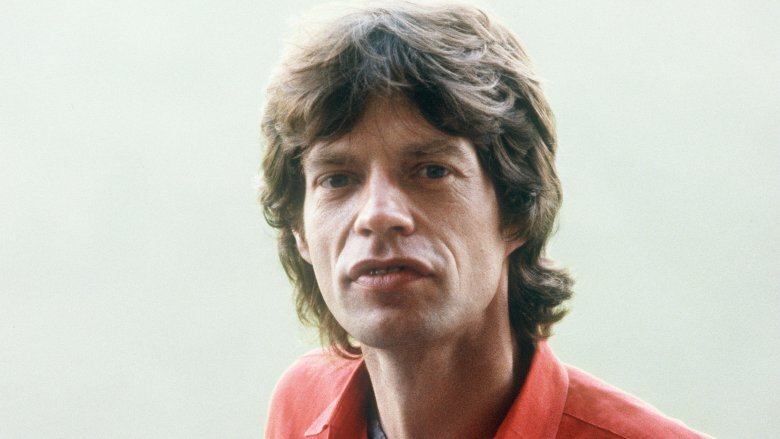 It's retold by Science of Rock n Roll, and it basically goes like this: A young Jagger was playing basketball (or, sometimes it was soccer) when he ran into another player, bit off the end of his tongue, and swallowed it. It's rumored to have changed his voice and his speech patterns, and it's a pretty good story, right? It's not the only story of that kind out there, either — Freddie Mercury's teeth were famously thought to be responsible for changing the shape of his mouth and giving him his incredible vocal range, although many experts disagree. Sadly, according to Hearing Health & Technology Matters, the story about Jagger just isn't true. Probably. While losing a big chunk of tongue might change someone's speech patterns and accent a bit, it doesn't really have anything to do with the tone of voice. So, it's just a great story — but hey, it works with the logo, right? There are the Rolling Stones, and then there's Rolling Stone magazine. Clearly, there's a relationship there, right? Yes, but it's not a pleasant one. According to Joe Hagan's Sticky Fingers: The Life and Times of Jann Wenner and Rolling Stone Magazine (via Vulture), Jagger was pretty outraged when he first saw the magazine. Not only was it a bit of a surprise that it had been named after the group, but the original Rolling Stones weren't even on the first cover of Rolling Stone. Hagan says the offense kicked off a feud that lasted for the next five decades, and it was Richards who summed up the unofficial position of the band members like this: "We thought, 'What a thief!'" And they took action, too, hitting Wenner and Rolling Stone with a cease-and-desist letter instead of the exclusive interview Wenner had promised new readers. Tensions continued to run high, even after Jagger and Wenner met and even after the Stones finally appeared on the cover. But two years in, Jagger and Wenner teamed up to launch a British-based Rolling Stone … which ended up being all politics and misspellings, written by an unruly, drug-fueled staff. Wenner was outraged, but by the time he got the magazine under control, Mick Jagger had gotten bored with the whole thing and headed off to Australia to appear in an art-house movie. 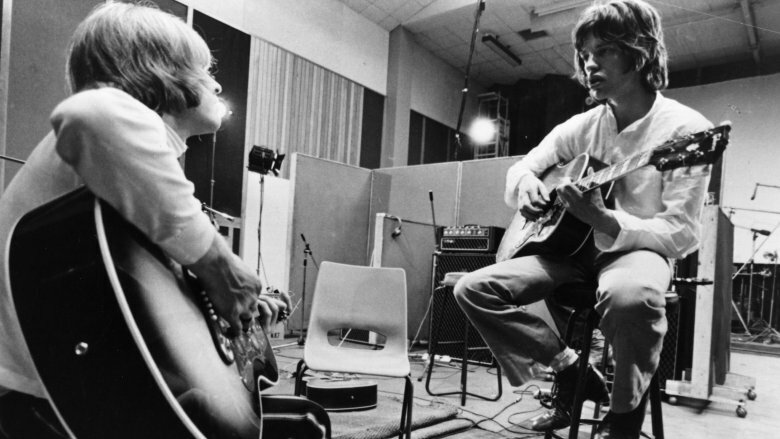 Rolling Stone ran its obituary for Stones' ex-guitarist Brian Jones on August 9, 1969. They called him "an embodiment of the music itself," and it was an apt description. Jones had died at the bottom of a swimming pool after years of drug abuse and scandals. 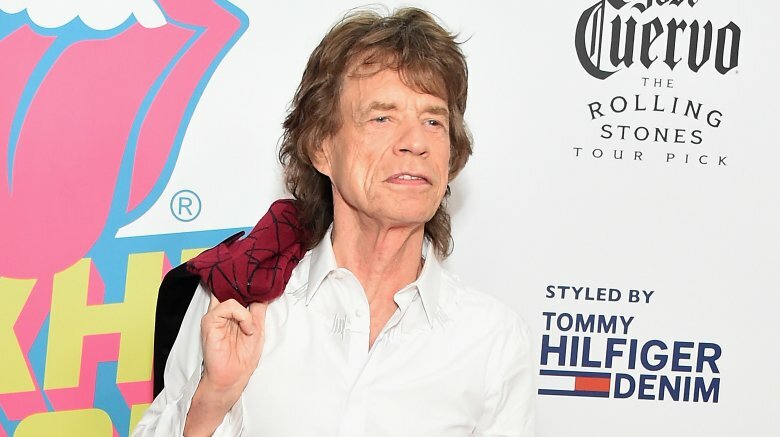 He was the wild child back in the day, and when Jagger spoke with Rolling Stone almost three decades later, he opened up about their falling-out. He said that recording the song "No Expectations" was the last time Jones was "totally involved in something that was really worth doing," and that was a long way from the obsession he'd had in the early days of the group. According to Jagger, "he was a very paranoid personality and not at all suited to be in show business." The falling-out happened slowly, and eventually left Jagger feeling they had no choice but to fire him — particularly when he got to the point where he couldn't even hold a guitar. Drug addiction wasn't well understood at the time, and Jagger may feel a little guilt over how it was handled. "I do feel that I behaved in a very childish way, but we were very young, and in some ways we picked on him," he said. "But unfortunately, he made himself a target for it; he was very, very jealous, very difficult, very manipulative, and if you do that in this kind of a group of people, you get back as good as you give, to be honest." Try and try again … more than 4,000 times, if Jagger biographer Chris Andersen is to be believed. 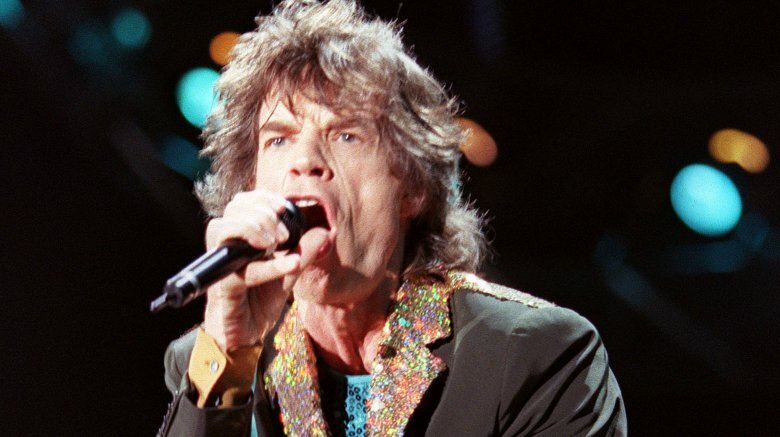 According to him (via the Huffington Post), Jagger has had more than 4,000 different partners over the course of his career (although it's worth noting that number also includes some relationships that have been disputed). One of the high-profile women on the list is Carla Bruni, who made headlines in 2007 when she was seen on the arm of French President Nicolas Sarkozy (via the Independent). The former model has her own impressive list of conquests, including Kevin Costner and another president, Donald Trump. But according to the Telegraph, it was Jagger who had stolen her heart, from none other than Eric Clapton, whom she'd been dating when Jagger whisked her away. It ended poorly, though, after she heard he had returned to then-wife Jerry Hall. "I thought I'd never get over it. I used to wake up every morning in despair. I thought I'd never fall in love with someone else," she was quoted as saying. Jagger's marriage to Hall ended not long after, and he moved on to another high-profile conquest: Angelina Jolie. The Eagles may have written the song, but Mick Jagger made tequila sunrises popular. The cocktail — made with tequila, orange juice, and grenadine — had been around since Prohibition, says spirits historian Dave Wondrich (via Tales of the Cocktail). The super-pretty drink was a hit with the '60s hippie set, but it wasn't until Mick Jagger ordered one in 1972 that just about everyone in the country — of a certain sensibility — learned what it was. He was such a fan of the drink that it was a staple on their 1972 tour, the one that Keith Richards nicknamed the "Cocaine and Tequila Sunrise Tour." It was such a huge part of the scene that it helped define the entire tour, along with Exile on Main St., riots, tear gas, and many, many arrests. It showed up in the Eagles' song list the following year, and the rest is rock 'n' roll history.